Stockton, Mo. – The KOMA Beef Cattle Conference begins at 4 p.m., January 16, 2018, at the Springfield Livestock Marketing Center in Springfield, Mo. The KOMA (4 – State) Beef Cattle Conference is a joint effort by the Extension Services in Kansas, Oklahoma, Missouri and Arkansas. It is designed to provide the latest information on beef cattle production, marketing, economics, nutrition and forage utilization. eBEEF is partnering with National Cattlemen's Beef Association to present a series of webinars in 2018. Please mark your calendars and watch for more information! These webinars will include opportunities for audience participation and will be an engaging series. The Show-Me-Select™ Replacement Heifer program will host a sale December 8, 2017 at the Farmington Livestock Auction starting at 7:00 p.m. At the sale, 3 Show-Me-Plus™ heifers will sell. 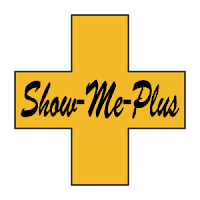 Below is information about the Show-Me-Plus™ heifers selling in Farmington, Missouri. The movie Food Evolution will show November 8, 7 p.m., Middlebush Auditorium, University of Missouri. Join Mizzou's Food Science Association for a screening of the fascinating and controversial documentary, Food Evolution. Amongst all this conflict and confusion around food, how do we make the best decisions about how we feed ourselves? Food Evolution, from Academy Award®-nominated director Scott Hamilton Kennedy (The Garden, Fame High, OT: Our Town), explores the controversy surrounding GMOs and food. In the GMO debate, both pro- and anti- camps claim science is on their side. Who’s right?